You are here: Home / News & Views / Orthodontic Info / Why is a Dentist Not an Orthodontist? To become an orthodontist, a person goes to college and gets their bachelor’s degree after majoring in biological science. After that, they take the Dental Admission Test, or DAT to be admitted into a school of dentistry. During dentistry school, the student usually has two years of classroom work and two years of residency in orthodontics. They will spend some time treating patients during their residency. After this training, the student gets a Doctor of Dental Medicine, or DMD degree. Some people take a seven year program that begins in high school and spares them the need to go to dentistry school. After they receive their DMD, they go on to postgraduate work in orthodontics. No matter what path they take, orthodontists still have to pass the National Board Dental Examinations, which are written and clinical test that are overseen by the Joint Commission on Dental Examinations. After passing this test, the doctor receives their license to practice. However, they’ll probably need a few more years training in orthodontics. The learning, of course, never stops. The doctor also needs to be certified by the American Board of Orthodontics. Like the National Board Dental Examinations, the test to qualify for the board consists of written and clinical exams. Braces have improved somewhat from the heavy and frankly ugly brackets, wires and rubber bands that many people remember with no fondness whatsoever. Nowadays, the brackets of traditional braces are smaller and the wires not quite so appalling. The patient also has the option of lingual devices that are placed behind the teeth and can’t be seen, and tooth-colored devices that make the braces hard to see. The devices are specialized for the patient, and the time they’ll have to spend wearing them depends on the individual case. Most people wear their braces between six months and three years. After they come off, the patient is fitted with a retainer, which helps to keep the teeth properly aligned and trains the structures of the mouth to help hold the teeth in place. Usually, they are at first worn full time and then worn at night. The length of time a retainer needs to be worn at night can be longer than the patient wants, but they’ll need to consult with their orthodontist. Wearing braces does require a bit of commitment on the part of the patient. They’ll need to brush, floss and use a fluoride rinse after every meal and then again before going to bed. 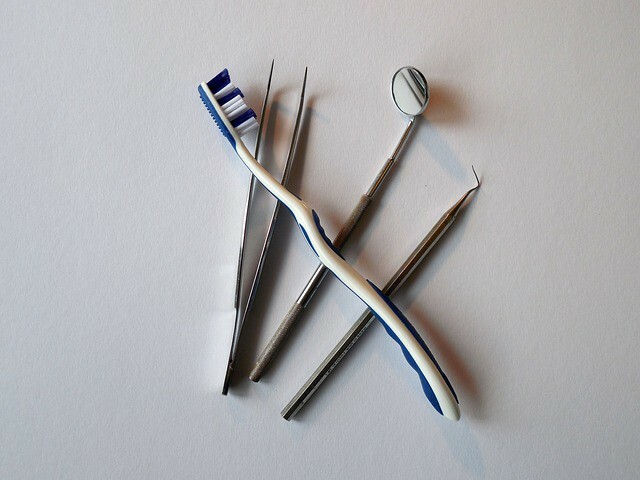 Some patients receive special brushes for getting in between the wires to clean their teeth thoroughly. There are also some foods that the patient can’t eat. They tend to be hard, crunchy, sugary or sticky, i.e. the types of foods that a lot of kids crave. Yet, these foods can get caught in the metal or even knock brackets out of position or bend wires. On top of all this, the metal and wires make for a sore mouth, especially in the beginning. They will also have to go for check-ups every month or so. Younger patients need to be reminded that at the end of their treatment they will have a smile that others will envy and to be praised for keeping up with their annoying and fiddly dental hygiene regimen. Even adults may find meticulous oral care several times a day and not being able to eat what hey want daunting. Invisalign is a system for people who simply can’t stand the look, feel or inconvenience of traditional braces. It’s a system where the patient is fitted with clear, custom made trays that are meant to be worn 23 hours a day. The trays are changed every two weeks or so as the bite eventually comes into alignment. Though they take about the same time to work as more traditional methods, the trays have differences that are attractive to many patients. First, the trays are hard to see. A person needs to get very close to the patient to see that they’re wearing the alignment trays. Second, the trays, made of smooth plastic, are painless. Third, the patient doesn’t have to see their orthodontist as often. Fourth, and most important, they can be taken out by the patient. This means the patient can eat what they want and go about fairly normal oral hygiene. Orthodontists also appreciate the fact that because of this ease of use their patients simply take better care of their teeth. Some patients with traditional metal aligners give up in frustration, which can lead to tooth decay and gum disease. Orthodontics is a fascinating, exciting and growing field. Those who practice it take pride in both the health and beauty of their patient’s teeth. https://drpapandreas.com/wp-content/uploads/2016/04/logo-dr-papandreas.png 0 0 Dr. Sam https://drpapandreas.com/wp-content/uploads/2016/04/logo-dr-papandreas.png Dr. Sam2016-12-06 10:00:002016-12-13 23:58:33Why is a Dentist Not an Orthodontist?